Each customer looks for some benefits when getting Geico quotes on auto, home, life or any other type of policy. Geico is the second largest auto insurer in the U.S., providing large set of policies with various features, cheap quotes on auto insurance coverage. GEICO (Government Employees Ins Company) was serving only government and military personnel at first by offering them car protection plans, but later on, it expanded its policies. 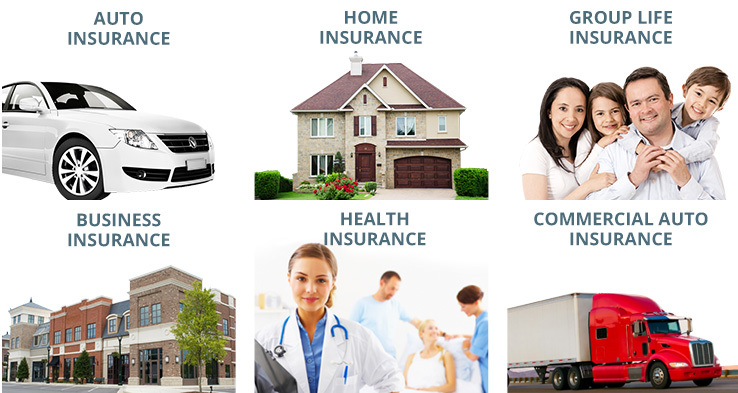 It provides coverage types like Umbrella, Life, Commercial, Homeowners Insurance, and others. Geico allows to get affordable quotes on auto insurance for all categories of customers. It provides ways to save on policy. Also it is popular as it has wide agents grid, and good service cost. Government Employees Ins Company was founded by Leo Goodwin and his wife in 1936. Before running his own business, he worked as an agent in such a company. Having the word ‘government’ in its name, the company never had something close to the government being a private corporation. 1937 witnessed the relocation of the company from San Antonio to Washington as the founder wanted to move in a place with higher concentration of federal employees – the potential clients. In 1964, David Lloyd Kreeger became the president of GEICO and made it a major enterprise in the sphere of insurance. So, he was called the chairman and CEO. In 1974, the company began to insure the general public and also introduced computerized service becoming the fifth-largest auto insurer. By 1975, it turned out that such a development was too fast as the company announced the loss of $126.5 million. To prevent the company from breaking up, a consortium of insurers agreed to take ¼ of its plans, while it was forced to render a stock offering. It took GEICO 5 years to reorganize and recover from it. From 1962 to 1996, the company introduced other geico insurance policies like for homeowners. In 1996, it became a wholly owned subsidiary of Berkshire Hathaway. It prefers to contact clients via phone and e-mail; still, it disposes of 150 offices all over the country. It’s considered to be the 2nd biggest auto insurer in the U.S.
After several years of cancelling plans and even refusing clients, GEICO was to offer rideshare coverage in some states. This policy was given praise by experts and quickly made the company the largest provider of TNC drivers. 1. Auto. It was the first policy to be offered by the company and this tradition has continued heretofore. 2. Motorcycle. It can be called the second popular policy at GEICO since it’s required rather in a big number of states. 3. Homeowners Insurance. This plan is of high importance for those who would like to be sure in their living. 4. Renters. It will go for clients who rent a house and want to prevent themselves from any unexpected situation with the property rented. 5. Condo. Condominiums are bought more and more often becoming a popular type of a house, still, it should be insured to be confident in the future. 6. Boat. This type of insurance is needed for boat owners to prevent it from any weather conditions and its consequences. There are some other policies offered by GEICO, which are available in particular states. Air bag discount. You may save up to 25% for air bags which are located on the driver side or up to 40% for air bags all situated at the front. Discount on daytime running lights. It may earn you up to 3 percent as a discount. Discount on antilock brakes. If your antilock brakes were installed by the company, you may be offered 5 percent discount plus to your collision coverage. Anti-theft discount. If you have chosen a comprehensive coverage and dispose of built-in anti-theft system, be ready to get 25% off. Discount on the use of seat belts. For those drivers and passengers who always care for safety and so wear seat belts, the company is to offer 15% discounts on medical payments as well as Farmers. Good driver discount. Drivers who have no accidents for more than 5 years can be offered 26% off for most coverage plans. Defensive driving discount. If you have entered and completed a defensive course, you are most likely to get a special discount. Discounts for good students. Students who study on a full-time basis and can boast of good academic records are eligible to get 15% off. In most states, the age of a driver must be between 16-25 years, while its average mark should be ‘B’. Military discount. If you are a member of National Guard or retired, you may ask for 15 percent off by choosing a total car insurance plan. Employee discount. If you belong to 500+ organizations of GEICO, you may count on a membership discount.